Can you think of the last time you saw something and you just had to tell your friends about it? Do you remember having a great experience at a restaurant and later on tweeting about it? These could be products of word of mouth marketing (WOMM). It is an organic way of spreading information. It uses components of viral marketing. Unlike viral marketing, it spreads through more natural channels. So, do you really know what word-of-mouth marketing is? Word of mouth marketing or (WOMM) is an action taken by a company that ends up motivating people to talk about their products, services, or brand spontaneously. It’s also an action taken by the mouth (or person) that recommends your product, since he or she is putting their credibility on the line. Meaning, it’s a free form of advertisement or promotion (just one reason it’s so stinkin’ important and why we love it!). It’s shared by customers. And it can be triggered by an event the customer experiences. This event is something beyond what’s expected (can be bad publicity too), this is why improving customer service and relationship marketing is so important. Word of mouth is a free form of advertisement or promotion (just one reason it’s so stinkin’ important and why we love it). It’s shared by customers. As mentioned by Entrepreneur, It’s triggered by an event the customer experiences. This event is something beyond what’s expected (can be bad publicity too). If you want all the dirt on WOM marketing, you need to check out WOMMA.com. They have a ton of information on the topic and some pretty interesting word of mouth promotion techniques to learn all about. After seeing it for yourself, you may be quite impressed by the effectiveness of wom marketing. If you’re not, here are some word of mouth statistics to help convince you. How are Word of Mouth Marketing and Referral Marketing different? It’s all about creating a buzz, no matter what type of business you are or product you have. Whether you are a dental clinic, eCommerce store, or a SaaS business. The more you interact with people the more likely your name will spread. Think of word of mouth advertising as a snowball effect. You start off with a small, interesting post on Facebook. That post impresses a couple people, then those people spread the word. Before you know it that one post is all over. It’s about creating mega brand recognition. Referral Marketing is marketing that focuses on targeting a specific person. It’s intended to encourage them to refer their friends. Referral Marketing (and other referral type marketing) is a segment of WOMM. But, it focuses on targeting a specific person. It’s intended to encourage them to refer their friends. It’s a more proactive way of generating clientele. As you have to actually control the referral process and track the process of conversion (ie from when the referral code is sent, to when the whole referral process is complete). Instead of doing a mass shout-out, the idea of referral marketing is more personal. Referral Marketing is more about creating a bond with specific people. That way they will refer friends and family. Want to learn more about it? Check out our referral marketing guide! Why is WOM Marketing Important? With the exponential growth of communication through online media, this spontaneous, viral dialogue becomes even more evident and can be shared, commented upon and evaluated by many people at the same time. An encounter experienced by one consumer today can reach millions in a few seconds. Essentially, word of mouth marketing can be summed up in a single word: Trust. People trust other people and the experiences they have to report, which means that when they hear from a friend or a consumer about a product or brand, they are more likely to buy. Plus, it’s a good way for a business to spread the word about a product or service. Word of mouth statistics has proven that people trust their friends and family more than they trust advertisements. According to a Nielsen study… 92% of consumers believe suggestions from friends and family than other advertising. If 92% of consumers prefer suggestions from their friends then WOM marketing is valuable. Plus, having good wom marketing amongst your customer may make it easier for you to ask for referrals. You can increase your word of mouth advertising in numerous ways. One way it can increase is because of happy customer reviews. A positive customer experience can get people talking. When people are open to talking about your product, your online reputation increase, and the channels you’re exposed to expand as well. This is because someone may write a review about you on a site like Yelp. That review can then be searched and shared across other channels. And, when other people search for your type of product or service, they will see your name amongst the competitors. This can then spark word of mouth marketing to occur. As you can see, it’s all interconnected… reviews lead to word of mouth. For example, Brutus and Mindy were talking about chimney sweeping services. Mindy told Brutus that she needed to hire someone to come to her house before winter hits full force. Brutus explained that he too was searching for someone and that he found a few chimney services online that had good reviews. He named off a couple that he was going to look into further (increasing the word of mouth). Mindy actually ended up picking one that he mentioned and started telling all her friends (including Brutus about them). See how word of mouth increase just by having a few good reviews? How to do word of mouth marketing? Connect with consumers, stop collecting them. Sure you can have millions of social media followers. But to truly drive word of mouth marketing on social media effectively, is to be active and try to connect with them. Sounds like relationship marketing, right? If followers are not interested in you, then they are likely not there to help you grow. They’re collecting dust and clogging your real fan base. You want real fans and supporters. The more passionate your ‘fans’ are about you, the more likely they will share you. The passing of information through word of mouth is powerful in influencing others. It has a way of reaching parties that it might not have been able to do otherwise. There are plenty of things you can do to increase your word of mouth. With the right strategy in place, you can set yourself up for a steady stream of referrals and create a repeatable wom process. Spiceworks mentions that whopping 97% of IT professionals say they rely on peer recommendations and ratings/reviews during the buying cycle. That’s a large percentage to rely on! A WOMM doesn’t necessarily have to come from a referral program either. You have plenty of word of mouth channels to consider. Like partner programs, influencer programs, affiliate marketing, and even reviews. Whichever channel you choose however, you’ll need to develop a strategy and measure your word of mouth marketing. Here are just a few of the WOMM strategies you can consider. 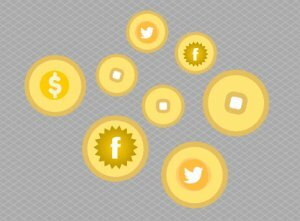 Use social currency – and share what makes you look fun/good/interesting as that can make you referrable. Try to tie yourself into other things that people like, need, or do. Linking yourself to other ideas makes it easy to remember you, and thus talk about you. If you offer something of value, whether it be an excellent product or tip top customer service, you will be valuable to a consumer. Everyone remembers an experience, and will often pay for it because of the value. People respond to emotion. If you can create some sort of emotion, you are likely to get someone to share their experience with others. People share happy, sad, funny, etc. Because their emotion lead them to. Think of reviews, they are either good or bad. These are just a few WOM strategies to consider, but there are a ton more. Buzz Marketing – Also known as astroturfing. This focuses on getting consumers to create and spread conversation about a product. This grows company awareness through the use of online traffic. Influencers create the ‘buzz’. They are the ones spreading the word about a specific product/service. This is usually done by tools that are attention-grabbing like videos and humor. Viral Marketing – the sister of ‘word of mouth marketing’ is viral marketing. Implies that products or services are advertised to everyone that its consumer contacts. 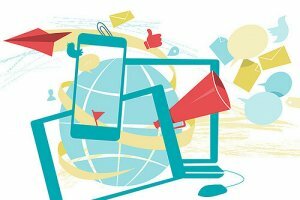 Think of internet-based businesses and how their ads spread through social media. Viral Marketing spreads like wildfire – for example, funny YouTube videos. Blog Marketing – To promote a product or service via a blog. In this instance, the blogger is the influencer or brand ambassador. Bloggers become word of mouth marketers, word travels quickly to their followers. The blogger provides reviews and ad space to their favorite brands/affiliations. The blogger’s followers are then inclined and share the information with friends. Social Media Marketing – Depends on word of mouth marketing. Content on social media has a way of reaching people outside of the original group following. As mentioned earlier, shared content has a higher value when shared by someone you know and trust. This type of marketing is the hub of marketing, especially referral marketing. Most types of marketing use word of mouth in one way or another. Referral Marketing is no different. In fact, it helps companies get new customers all the time. And after all, that is the whole point of referral marketing. Referral marketing is marketing based on one friend sharing with another. The only real difference is that referral marketing usually tracks the conversion rate. Referral marketing also tracks who is bringing in the new customers. Another reason is there is usually some sort of incentive used in referral marketing. One of these marketing strategies is not ‘better’ than the other. They are not competing to be the ‘best’. Instead, referral marketing is a counterpart. Most times word of mouth is the reason referral marketing works. As mentioned before, people trust their friends and family. Want to take your word of mouth to the next level? Here are some awesome referral marketing tips to help you out and some word of mouth examples to explore.